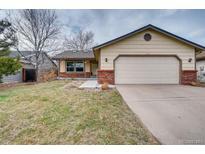 Below you can view all the homes for sale in the Highlands Ranch Northridge subdivision located in Highlands Ranch Colorado. Listings in Highlands Ranch Northridge are updated daily from data we receive from the Denver multiple listing service. To learn more about any of these homes or to receive custom notifications when a new property is listed for sale in Highlands Ranch Northridge, give us a call at 720-606-6881. This house is a walking distance from Diamond K Park. MLS#8188757. Keller Williams Real Estate LLC. Newer Stainless appliances (see supplements for manuals) Furnace is estimated 2 years old, Central AC est 2 years old, roof replaced in 2016.Property offered AS-IS, WHERE-IS MLS#7380730. Pete Doty & Company, Inc..
Absolute Must See! Best in class under $600,000! MLS#2790970. LISTINGS.COM. Enjoy Highlands Ranch amenities including 2,000 acres of open space, 70 miles of paved and natural trails, over 20 parks, and access to four full-scale, state-of-the-art recreation centers. MLS#5791290. Colorado Home Realty. Tasteful high end upgrades make this move in ready home the perfect home for you! MLS#7250616. COLDWELL BANKER RESIDENTIAL 54. Walk to Cougar Run Park & elementary.Fantastic community w/miles of trails & 4 rec centers. 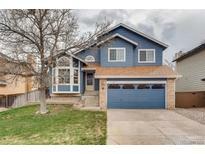 MLS#3436601. The Steller Group, Inc.
Nice Deck For Relaxing. All Appliances Included. MLS#3383092. CENTURY 21 RECOM REAL ESTATE LLC. 10 Minute walk to A+ RATED Northridge Elementary. Easy access to C-470*restaurants*shopping*entertainment. MLS#1602490. eXp Realty, LLC.